A good piece of music can be a powerful thing when you’re putting together projects like promotional videos or podcasts. The problem is that free music is often poor quality, while easy-to-license, high quality music often ends up getting used by lots of different people around the world, leaving your production at risk of sounding generic. 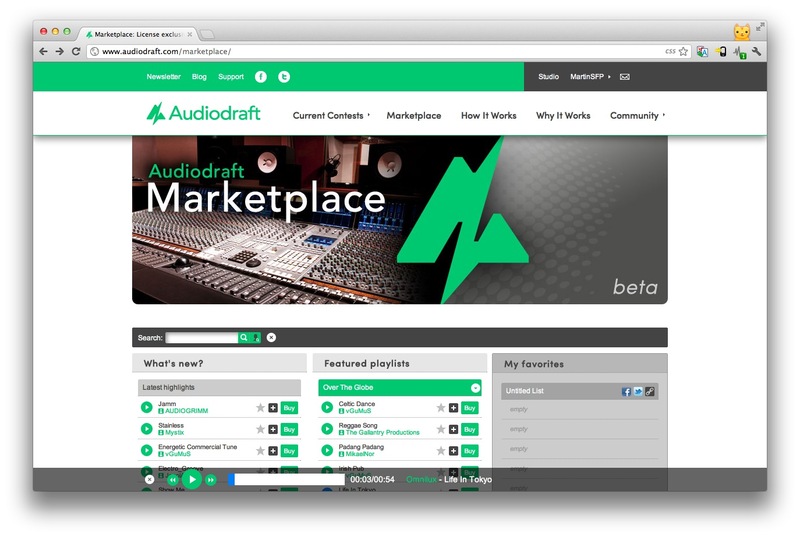 Audiodraft, a Finnish startup we’ve previously profiled for its composer crowdsourcing service, has now launched a marketplace that offers high-quality pieces of music on exclusive licenses. Once you’ve bought some music, it’s removed from the site so no-one else will use it until your license expires. While there’s nothing necessarily that unusual about this kind of arrangement if you’re willing to get into negotiations with music publishers, having exclusive music available in an easy-to-use online store sets Audiodraft apart. A one-year license costs $400, with 2 and 5-year licenses priced at $600 and $1,000 respectively. If you want the rights to use a track forever, that will set you back $2,000. This pricing isn’t pocket money, but is more than reasonable when you consider you’re getting a piece of music to use in your productions without the worry that anyone else will sound the same.